HeroWarz is an action based MMORPG published by KOG Games on July 20th 2016. 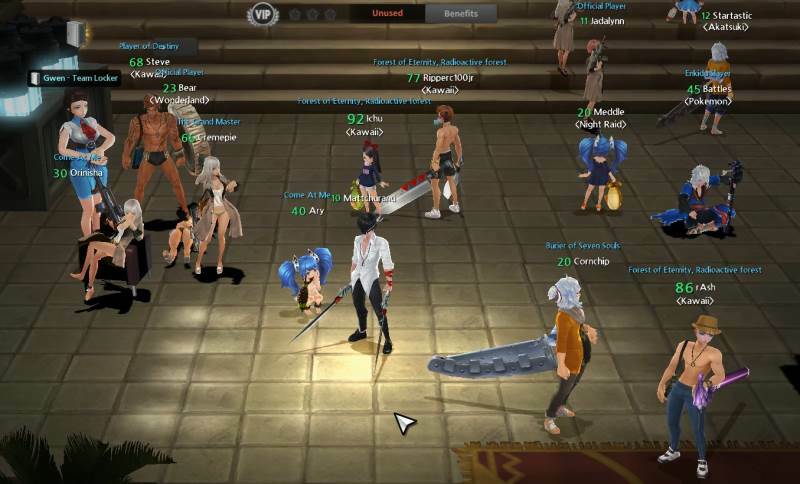 This is by far the best game MMORPG game I have review over the last year. Usually after I play a game to review it, I play for a few hours for a couple days after I finish the review and never load it up again because although the games have good qualities, they aren’t addictive enough to play for me. This is the complete opposite for this game. 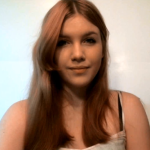 I was so excited to finish this review because then I could continue to play the game and get better and be the best! HeroWarz is pretty new but there are a lot of people playing. In HeroWarz, you choose between a wide variety of charters and travel through different worlds completing quest in order to gain experience and grind out over 100 levels. If you play a character and you’re not happy with them over a period of time, you can easily switch between the mass variety of different heroes each with their own strengths, weaknesses, abilities, and play styles. You can fight through endless waves of enemies in order to summon a final boss”mob which allows you to level up at a rapid rate and also acquire very good rewards. Another great aspect of this game is the ability to change each areas difficulty which provides a further challenge to players and then benefits them with better rewards after completion. The game highly encourages playing with friends and in groups to help you conquer tough areas together and all reap the benefits. The game can easily be compared to Diablo created by Blizzard, but more cartoony. The combat system of this game is remarkable. It starts with your heroes attacks and abilities, for every level, you gain a skill point. With these skill points you can chose to learn a new ability, or level up a currently ability and make it stronger. Fun combat is HeroWarz’s strong point. Since the game is so new, people are constantly trying new level paths on the wide variety of heroes to see which path will create the strongest heroes. You must constantly pay attention to not only the cooldown of certain abilities, but also the must be very aware of your positioning even you reach higher levels of difficulty. Another thing you have to consider when leveling up abilities is the gear you have. Some gear will suit some players with certain skill level paths then others. 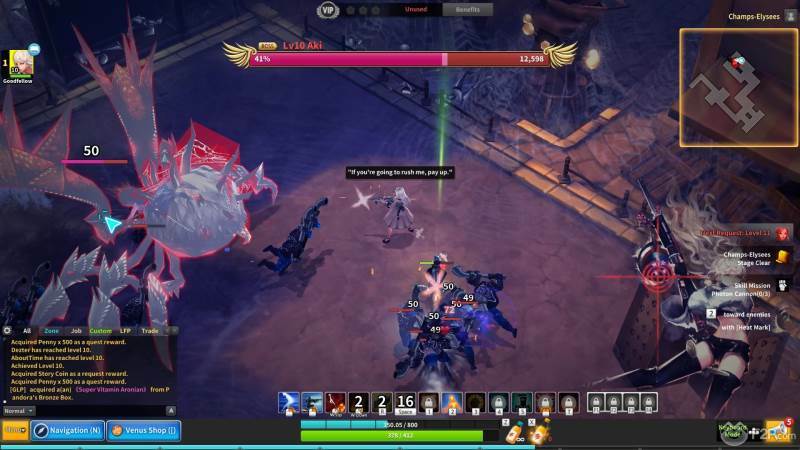 The main aspect of this game that makes this game unique is the incorporation of the MOBA-styled PvP arenas. Each player gets 5 skill abilities and gains experience by killing the enemy heros. Like any game, it takes practice to learn how to use your abilities while also playing attention to your opponent’s abilities and their cooldowns as well. 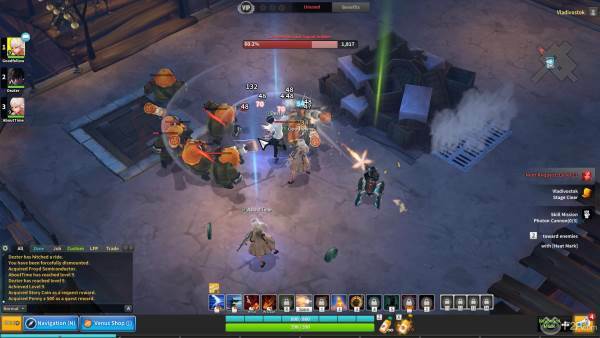 The MOBA PvP system also promotes playing with friends because you will be more successful in PvP if you’re able to communicate with your team and know who to focus in fights, where to move to, etc. I do have a few dislikes with this game at its current state. The game was originally created in Korea and the dialect was Korean then translated into English so sometimes the story dialogue is hard to follow because the translations aren’t always so smooth. The only other complaint I have is that the game is hard to start up at first. You have to install certain plug ins and then go through a long download process before you even start playing. But, neither of these should ever stop someone from trying this game! HeroWarz just finished it’s closed beta testing phase 2. This is by far the best game MMORPG game I have review over the last year. Like I said before, I am so excited writing this review is over so I can hop back on and play through more and more levels while testing myself in the PvP combat of the game. I highly recommend this game to both MMORPG fans and even those who really enjoy MOBAs such as Dota 2 and League of Legends because this game certainly wanted to appeal to both groups of players and I think it has done just that. I expect that over the next year or so, this will be one of the more popular games not only by player base, but also for have a huge viewer base for those who stream on Twitch. This is due to the fact that a streamer could grind this game for hours, and also be able to focus both on the game and his chat without sacrificing too much. Or go back to the top free to play MMORPG 2017 list. It looks like a lot of fun. I’m sure my daughter would love this game. Thanks for sharing! Thanks for sharing your review! I hadn’t heard of this game before.